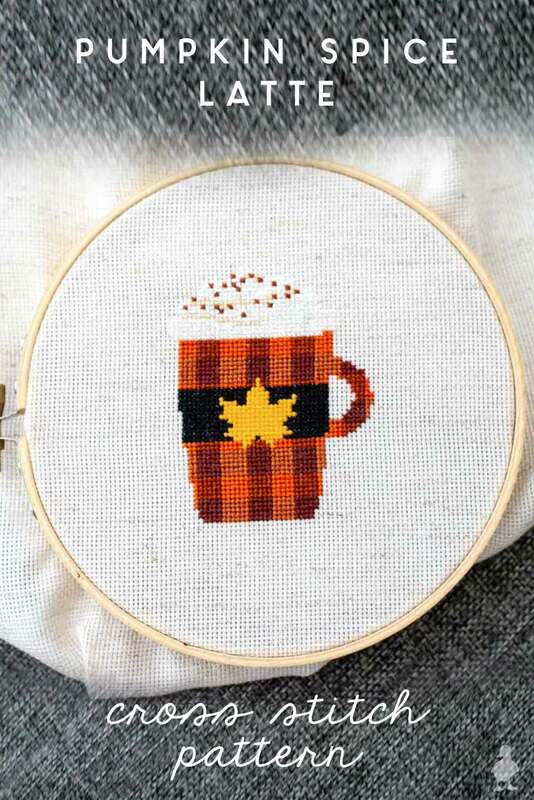 The iconic “PSL” — this pumpkin spice latte cross stitch pattern is perfect for fall! Full disclosure: I drink black coffee. I don’t think I’ve ever actually purchased a pumpkin spice latte (because I prefer my sugar intake in cake form). But even if my personal coffee habits may label me as a psychopath (no, really — a study in 2015 that went viral said people who like black coffee are crazy 🧐), I still appreciate the PSL as a fall icon and the birth of pumpkin spice mania. Especially when it’s this fun and easy to stitch! 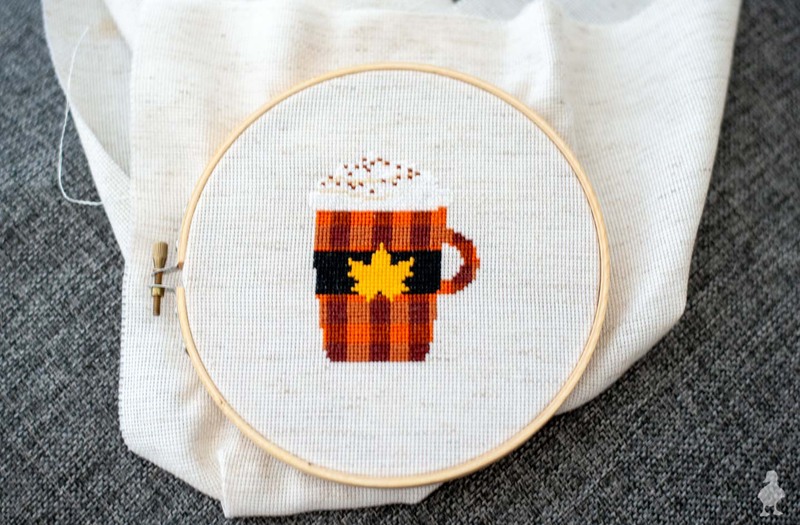 I first created this PSL as a simple graphic, then converted it into a cross stitch pattern — much like I did the first pattern I shared on the blog last year. 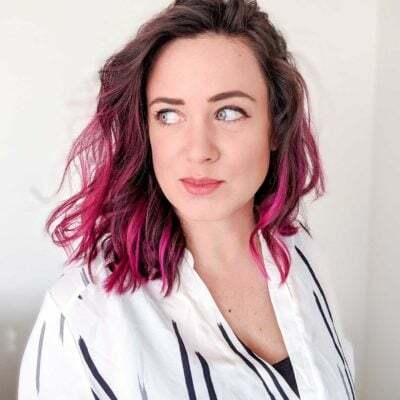 I’ve been using that same online free software I recommended for a while now, and although it’s a pretty awesome and relatively easy-to-use pattern maker, I inevitably ran into a few of its limitations. For one thing, it doesn’t let me correct stitches if I deem them to be out of place or if I want to clean up a straight line (sometimes, it looks too blurry when I want it to be more crisp). So, I have started testing out other options. I haven’t found one I LOVE yet (some are just too complex and I really only create these for fun), but you’ll probably see my pattern library evolve as I discover one I can rely on consistently. That’s not to say that the free option isn’t great if you want to try it out; but I feel like if I’m going to keep sharing original patterns, I want to have more control on a stitch-by-stitch level. If there’s one you like that is Mac-friendly, let me know! I designed this pattern for 18 count Aida because I wanted the PSL to be small and cute. Ideally though, I would have used a darker beige for the background to make the whipped cream area really pop. Most of the fabric I have at home is 14 count, which is pretty easy to find in a larger variety of colors. At 18 count, my local craft store had a more limited color selection, so I wound up using the oatmeal fabric color instead. I also switched out my original plan to use a “cream” color for the whipped cream because of the lighter fabric choice; the pure white helps make the contrast a little stronger, but ultimately, I may still add an outline in beige to force it to stand out even more. If you create this pattern on a pure white background, go with more cream tones for the top area so that there’s contrast. 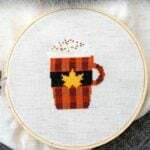 I think I’m just a few days shy of sharing this on National Coffee Day, but it’s still plenty early in the fall season for you to whip up this pattern for your decor. It takes only 8 colors — enjoy! I was also able to nab a few clips of stitching this one together, so this video is a little half-slideshow, half-timelapse. The biggest challenge of recording myself cross stitching is that the very spot I want to record (overhead) is directly in the way of me being able to see the tiny holes in the fabric. Since I typically stitch when I’m winding down for the night, I haven’t come up with a setup to record the entire thing from start to finish (and with decent lighting). I’m working on it. I think it would be really cool (and even #oddlysatisfying) to show one of my patterns becoming a reality. Don’t forget, if you wind up making this yourself, please tag me on Instagram so I can see what you created! 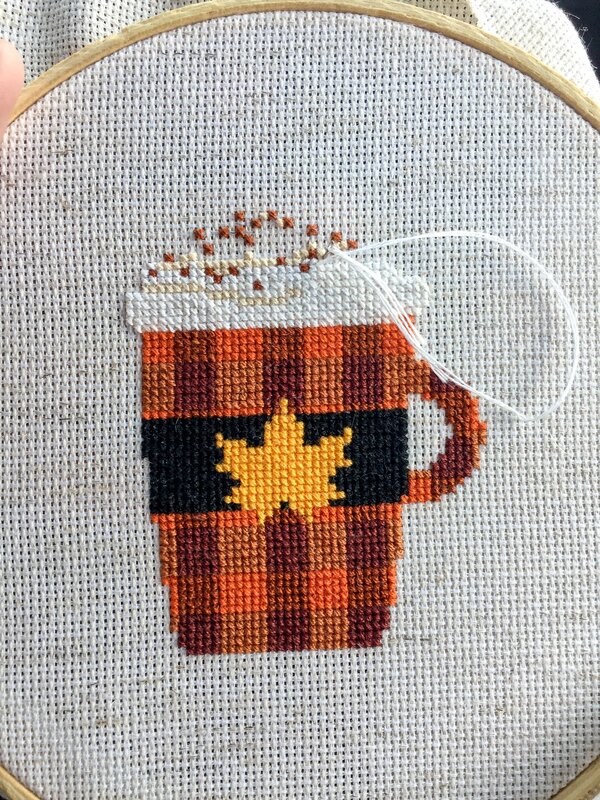 Depending on the popularity of this pattern, I may also update it with more color options (I was thisclose to making the mug purple instead of orange, so I may still do that down the road). Adorable! :) Thank you for sharing! Yeah, gotta figure that one out. BUT, you’ll (hopefully) be happy to know, I got on a roll earlier this week and came up with NINE new patterns… enough to share one a month (the plan now is to get a full year’s worth on the schedule). I won’t likely stitch them all but I’m setting the next one to share November 1st and December 1st, so lots more coming!